This traditional sponge cake is soaked in a vanilla 3-milk sauce and layered with dulce de leche. 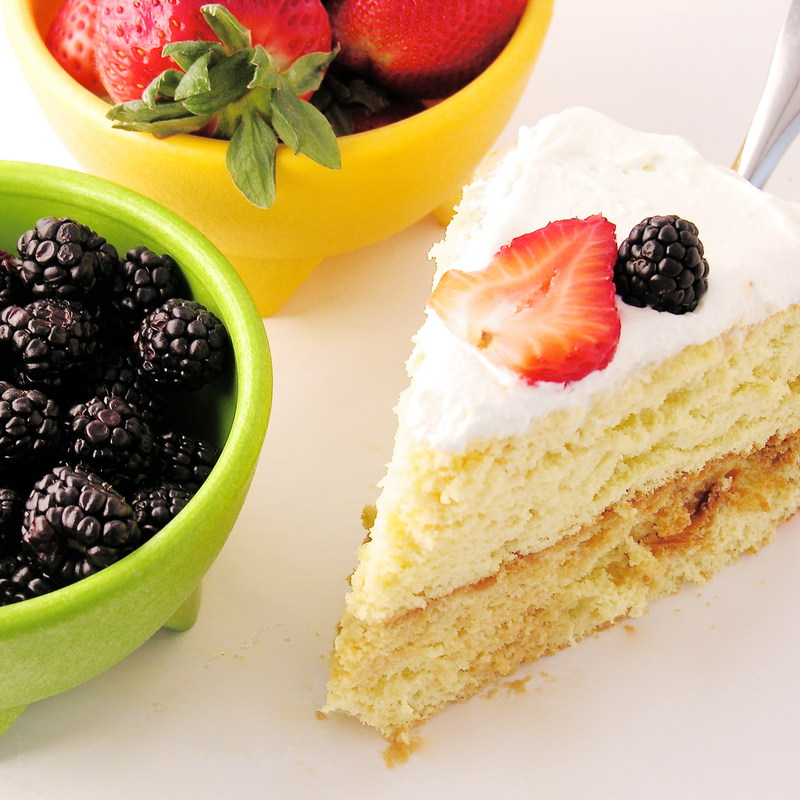 Topped with whipped cream and fresh fruit, it is a light and refreshing dessert. 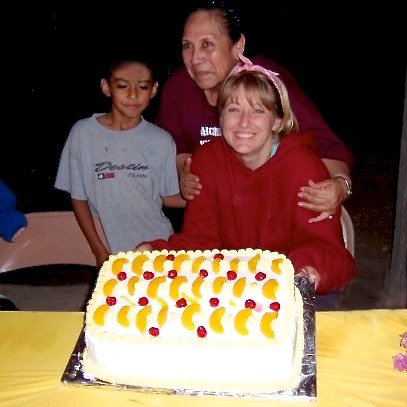 Since then, I’ve tried this cake at other places in Mexico and in the states. I’ve noticed that there are two kinds: The firm, sweet and moist kind, and the dripping with milk kind. 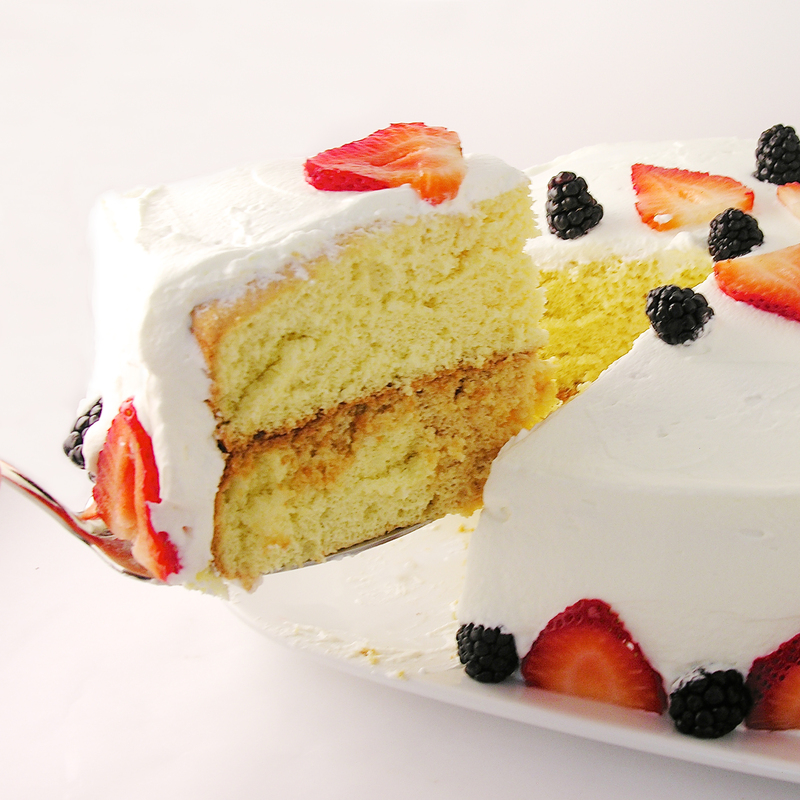 I really don’t like the dripping with milk kind…that consistency is really gross to me- and cake should never be gross! I researched lots of recipes, and discovered that there are two varieties: a butter based sponge cake and an egg based sponge cake. The egg based one is the one I liked. It soaks up all that yummy sauce and stays firm, while the other just sits in a puddle of sauce…YUCK! Preheat oven to 360F degrees and spray two 8 or 9 inch cake pans with non-stick spray. Cut a circle out of parchment paper to place in the bottom of each pan to help these cakes come out of the pan cleanly. Divide eggs into 2 bowls. Put the egg whites into a large mixing bowl and the yolks into a medium bowl. Beat the egg whites on medium-high until they form soft peaks. Add sugar and beat on high until they form stiff peaks (this will take 4-5 minutes, depending on your mixer). Beat the egg yolks on high for 5 to 6 minutes until they increase in volume and turn a creamy yellow. Beat the vanilla into the egg yolks until combined. Add the yolks to the whites and use a spatula or large spoon to gently fold them together. Add flour and gently mix until completely combined. Divide batter evenly between the 2 pans and bake for 20-25 minutes. The tops should be golden and when a toothpick is inserted in the center, it should come out clean. Cool completely, run a small knife around the edges and tip cakes over on a plate. Remove parchment paper. Make sauce by combining the 3 milks (condensed, evaporated and cream) together with the vanilla. Poke (lots!) of holes in the top of each cake with a fork and carefully pour sauce over the top, dividing it evenly between the 2 cakes. Place one cake on a serving plate, spread dulce de leche caramel over the top, stack second cake on top. 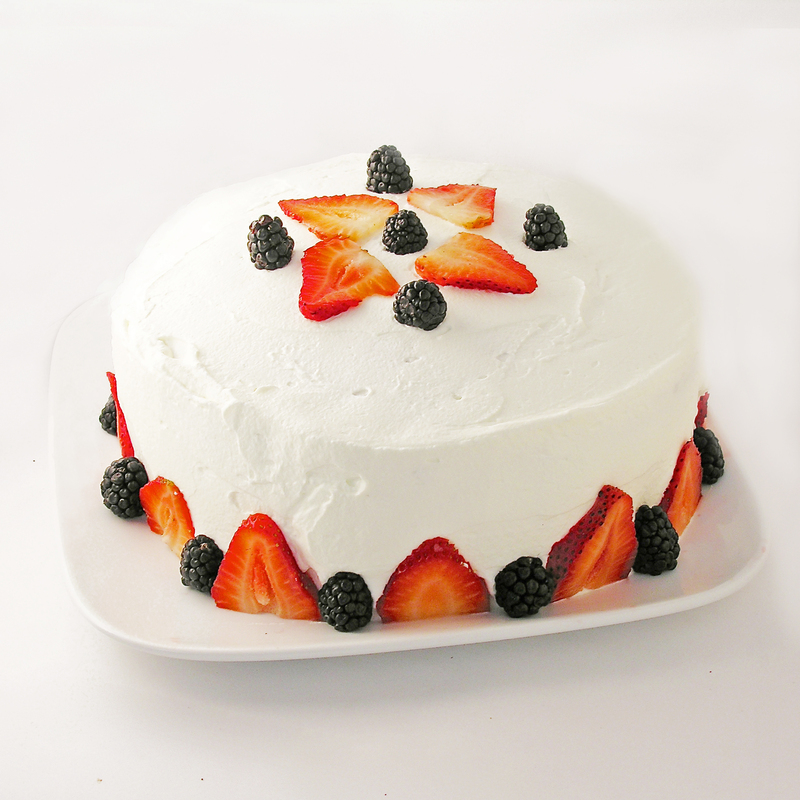 Make frosting by beating together the whipping cream and powdered sugar, until stiff peaks form. 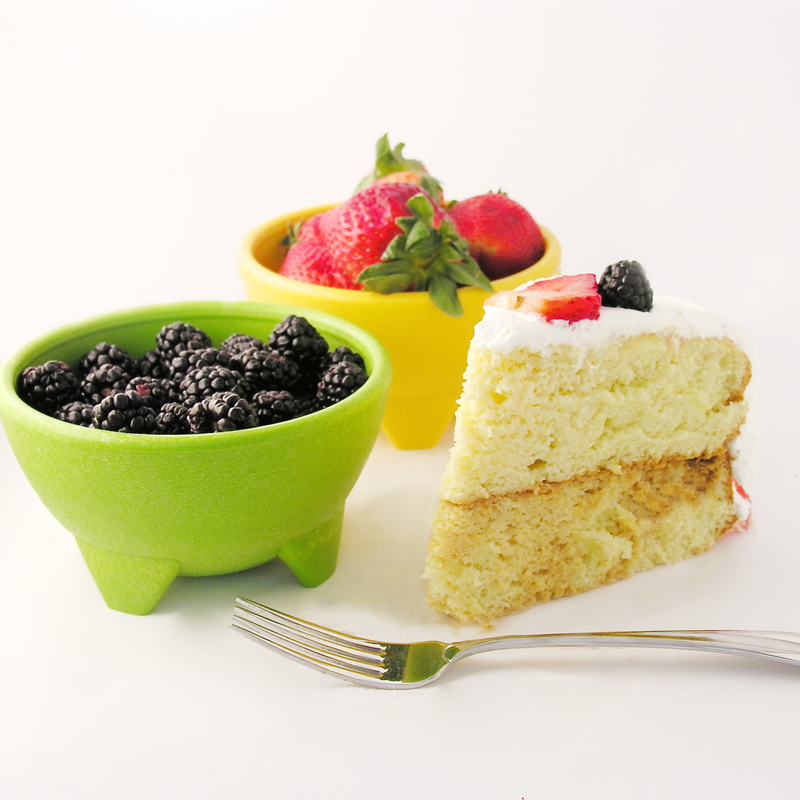 Frost cake and serve with fresh fruit. Refrigerate until serving. Posted in Cakes and tagged baking, best, cake, caramel, cinco de mayo, dessert, dulce de leche, easter, evaporated milk, fruit, layer cake, mothers day, refreshing desserts, sponge cake, spring desserts, summer desserts, sweetened condensed milk, Tres Leches, whipped cream, whipping cream. Bookmark the permalink.